Bi-directional and variable-thickness sipes combine to create a stable tread block for better road hold, even in subzero temperatures, allowing you to enjoy driving in wintery conditions. A larger contact patch helps to maximize the amount of rubber in contact with the road, helping to provide excellent traction against cold-weather hazards, including black ice. MICHELIN® Comfort Control Technology™ helps deliver one of the most comfortable rides in the industry by using a computer-optimized design and precision manufacturing to offer greatly reduced vibrations and road noise. At MICHELIN, we continuously push safety, durability and fuel efficiency, and even more performances, all at the same time and with no trade-offs. That’s what we mean by MICHELIN® Total Performance™, which has and will always be our difference on every tire. 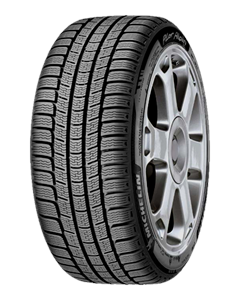 Sorry, we currently do not have any tyres with the Pilot Alpin PA2 pattern in stock.